Blaster Master is one of my favorite games to watch during AGDQ's speedrunning festivities. I love the Metroid feel of it, and seeing some of the near-misses and pixel-perfect jumps make for exciting runs -- they always make me want to go back and play the original all over again, which stumped me time and time again as a kid. But that's just it -- I had to play the original, as the Wii's Blaster Master: Overdrive didn't hit the same notes, despite having the same producer. The world has also long forgotten Blasting Again and Blaster Master 2, which wasn't released outside of North America. After all these years of uncertainty, I'm glad Inti Creates was the team that got their hands on the series, as Blaster Master Zero will hold up much better as a pseudo-sequel that mirrors the original's visual style. In this iteration, a young man (he's shonen now) named Jason finds a frog named Fred, and chases it into a world full of evil beings. 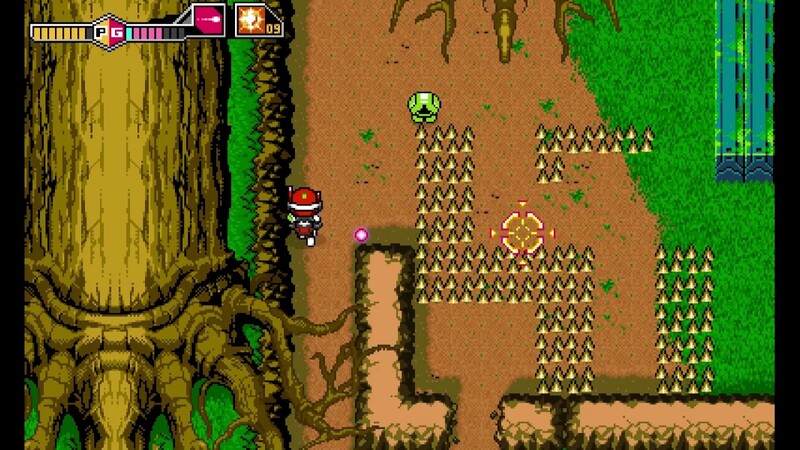 It's a hodgepodge of both the western release that came to be known as Blaster Master and the more serious Chou-Wakusei Senki Metafight from Japan. The protagonist is older and more experienced as a genius in his field (which makes it a little more generic, but less '80s than having a child save the galaxy), but the silly frog subplot still exists. It's a good compromise as people have been debating the absurdity of this setup for years. But this is Inti Creates here, and you can you can really see the Azure Striker Gunvolt influence with all of the neon and high-tech gear -- in a good way! I like that Zero has embraced its eastern roots, at least from the perspective of the artwork and the cutscenes. Because it is a give and take of both new and old sensibilities. Zero's soundtrack reminds me of the glory days of Sunsoft, and not just Blaster Master, but classics like Batman: The Video Game. Once again you'll be getting in and out of a tank with a Metroid-like overworld setup, cycling through multiple rates of fire by way of temporary and permanent upgrades acquired throughout the journey. The on-foot weapons (like auto-fire or weapons that go through walls) cycle in and out if you get hit like Contra, so you're likely dealing with all of them fluctuating about rather than sticking with one you know. What is Zero exactly? Well, to compare it with the original I even brought out the OG cart on the Analogue Nt mini. Some of it is a 1:1 recreation, like the starting area, but other zones are retooled (the second castle bit is now a residential area, and doesn't have ceiling spikes). They're mostly positive changes, but a few areas were less memorable, and decidedly less difficult (and the NES classic had some of those shortcomings too, mind). It's all a lot more manageable with save points though, and a few other modern assists. The map screen now gives you a general sense of where to go, but it isn't in your face or on the main HUD while playing (there's a tiny "hot or cold" dot that you can toggle on or off). But it's tough enough. There's very little (if any) iFrames, so getting into a bad situation could mean instant death. There are checkpoints, but you don't automatically regain your health (unless you die), and long falls while outside of the tank will still kill you. You'll be swapping between side-scrolling and top-down sections, and the latter is vastly improved when compared to Overdrive on the Wii. Remember when developers used to force people to use just the Wiimote on its side, even if it didn't work for a lot of games? Well that's not a problem here. The great design of the Joy-Con (whether it's a single or double with the Joy-Con grip) is bolstered by full button mapping. 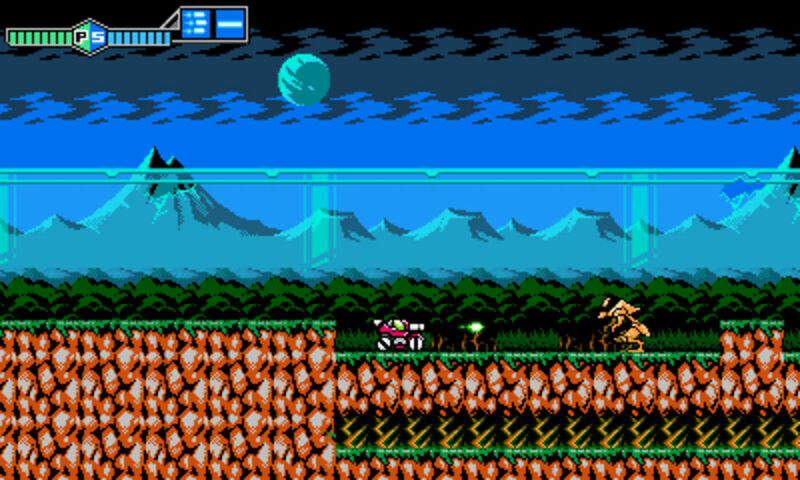 While some of the areas in the side-scrolling bits are the same, the top-down portions are widely redone and massively upgraded from a visual standpoint. The aforementioned remixed locations look better in some cases, and the bosses as a whole are just straight-up better. Take Crabullus (formerly known as "Mutant Crab") -- in the original you were basically just firing off shots while avoiding his arm and the occasional slime pool, but now his arms have a much wider reach, and he fills the entire room with toxic waste. 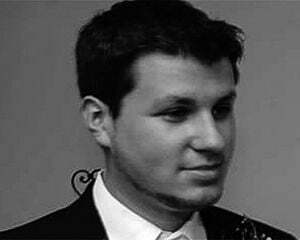 Several encounters are fully reworked to fit the game better too. I did not have access to the 3DS version for this review, but I think it's clear that the Switch version is coming out on top with co-op (and the over-hyped HD rumble support, if that's a thing you care about). Don't get too excited about co-op as it's in the form of a "helper" reticle (kind of like Mario Galaxy) that can assist player one -- it's not a full-on two-player mode. A bummer, I know, but I'll take it. The only major controller related problem I had is that the Pro Controller doesn't work...at all. So if you want to play co-op you'll have to split your Joy-Con or pop in a third one while one person uses the Joy-Con grip. I reached out to Inti Creates for clarification -- they plan on implementing a day-one patch that adds it, so at least it's on their radar, and we'll update you when/if that update goes live (it's now slated for March 16). 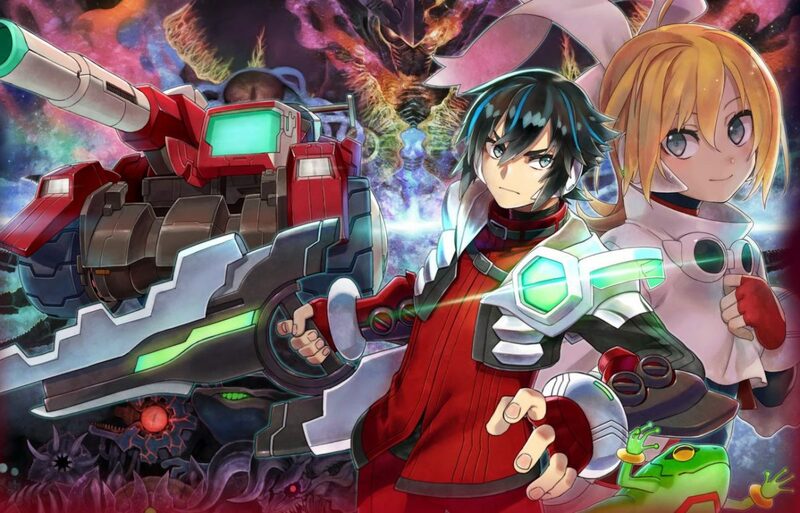 Blaster Master Zero is a loving recreation that serves as both a companion and in some ways a replacement for the original. While I'll always see myself going back to the NES classic for the rest of my days, Zero is a good way to introduce the series to a newcomer without scaring them off.